BEAUTIFUL LITTLE RANCH HOME IN A QUIET NEIGHBORHOOD WITH GREAT SCHOOLS THE BRIGHT OPEN FLOOR PLAN INCLUDING SUNKEN LIVING ROOM AND BEAUTIFUL DARK HARDWOOD FLOORS JUST RE-FINISHED MAKE THIS PLACE SHINE. NEW ROOF AND NEW WATER HEATER. PLENTY OF SPACE INSIDE AND EVEN MORE IN THE HUGE BACK YARD. THE DRIVEWAY HOLDS SIX CARS IN FRONT OF YOUR ATTACHED GARAGE. CLOSE TO ALMOST EVERYTHING FROM THE BEACH TO THE BASES AND FREEWAYS AND SHOPPING THIS ONE STORY GEM IS READY FOR A NEW OWNER. COME SEE IT TODAY AND BRING A TAPE MEASURE BEFORE ITS GONE GONE GONE! Ready to visit 460 Dauphin? Request a free property tour! Send me more information about the listing at 460 Dauphin, Virginia Beach, VA 23452, MLS# 10239911. 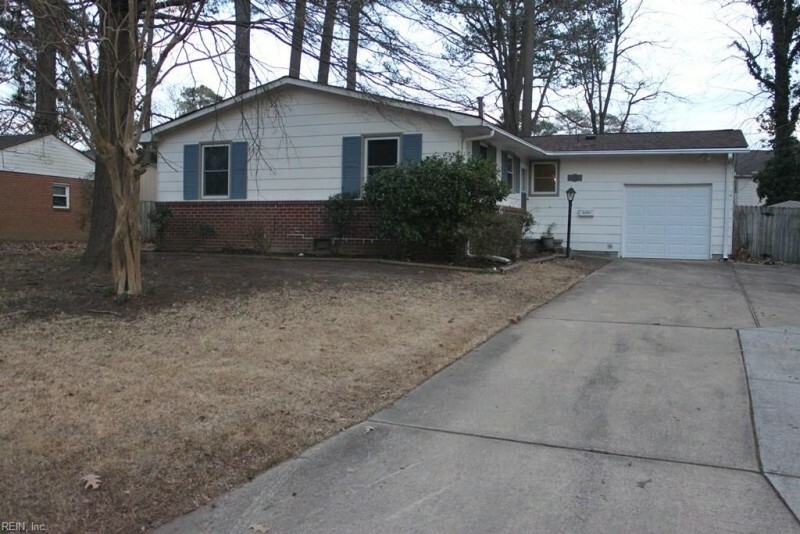 This 3 bedroom, 2 bathroom home located at 460 Dauphin, Virginia Beach, VA 23452 has approximately 1,228 square feet. It is currently listed for $205,205 and has a price per sqft of $16,711. This home is currently Active under the MLS#: 10239911. This listing is provided by CENTURY 21 Nachman Realty. 460 Dauphin Lane, Virginia Beach was built in 1962. It has Garage Att 1 Car parking.The kitchen includes Dishwasher, Microwave, Elec Range, Refrigerator. 460 Dauphin is part of the Princess Anne Plaza neighborhood located in 23452.